Mintap conducted a trial at a Perth-based quarry operating Symons crushers targeting closed side settings of between 8mm – 18mm, dependent on the desired product size. The trial compared the use of lead weights to the C-Gap, with results (below) indicating a very close agreement demonstrating that the C-Gap is an accurate alternative to lead weights. The quarry commented that ‘the tool is very handy with ease of use, also eliminating the need of two personnel to do the same task’. 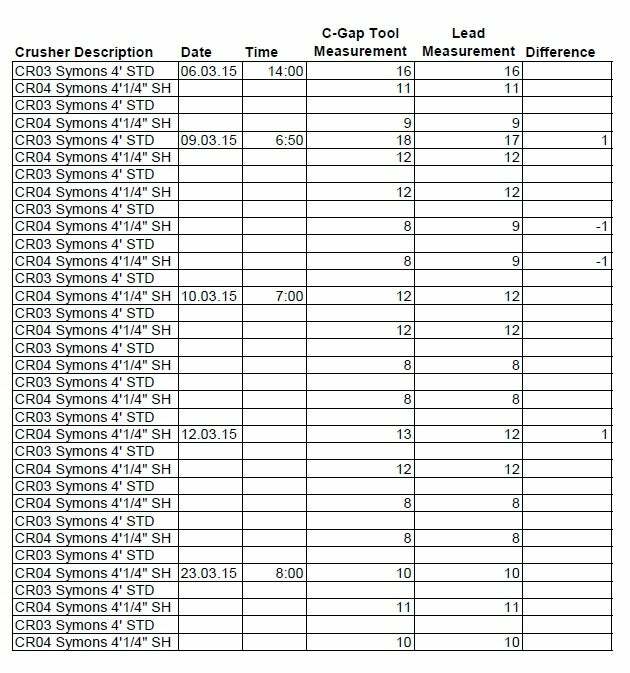 Image: Trial results for crusher closed side setting measured with lead weights versus C-Gap. Photo: courtesy of Mintap.